In this episode, Kris interviews the producer and director of the new vegan documentary, the End of Meat. We catch up with Juliet about the exciting new move for our rescued pig, Hope, and her babies. Relatedly, Veronika also interviews vegan marathon runner Fiona Oakes, who is the proud founder of Towerhill Stables Animal Sanctuary - the new forever home to Hope and Dotty! 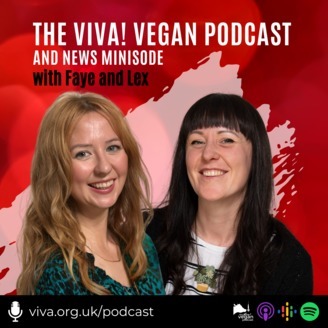 In This Episode: Latest vegan news including new job opportunities at Viva! Victory! The Advertising Standards Authority(ASA)’s ruling on our TRASH campaign. Kris interviews Marc Pierschel, the director of the new vegan documentary the End of Meat. Sophie Delarny discusses the upcoming Viva! Magical Vegan Festival, which will celebrate our 25th Anniversary. Juliet chats about the emotional move of Hope and her babies from Dean Farm Trust to their new home, Towerhill Stables Animal Sanctuary. Veronika Powell interview Fiona Oakes, vegan marathon runner and sanctuary owner. Gavin Chappell-Bates hosts his regular dedicated music feature, this month sitting down with Ellie Winter of Cambridge-based indie-ish band Tape Runs Out. You can hear this show via Apple Podcasts, Google Podcasts and on lots of other apps and websites. Spread the word! Don't forget to share us on Facebook and Twitter! GET OUR SHOWS EVERY MONTH, STRAIGHT TO YOUR MOBILE DEVICE OR COMPUTER. IT'S FREE AND AUTOMATIC. HERE’S HOW. Copyright owned by Viva! Bristol 2019. Not for re-use without our written agreement. All featured music used by permission. Produced by EMC, the Easy Media Company. #29 for March 2019. 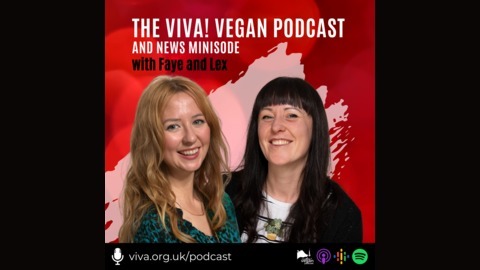 Cultured meat, Hench Herbivore, Viva!ccino Tour and music from Yak. #26 MMM Christmas! Melbourne's Martinez, Melody's Music and Meat-Free Festive Munchies!